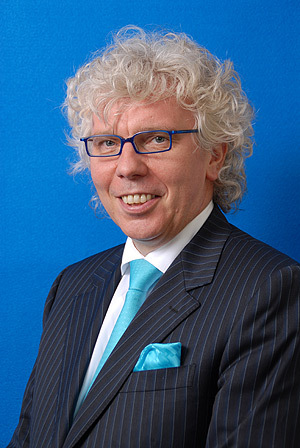 Following an apprenticeship in banking and the study of law in Germany with completion of a doctoral dissertation, Dr. Meyer zu Brickwedde has been working in Japan since 1993, where he held various management positions within HypoVereinsbank Group. He joined Hypo Real Estate Group in January 2004 to build up the Japanese operation as President and CEO of Hypo Real Estate Capital Japan Corporation. In April 2005 he was mandated to build up the Asian lending infrastructure, covering Japan, Hong Kong, Mumbai and Singapore, which he completed in December 2006. In May 2008 he left Hypo Real Estate Capital Japan Corporation after positioning the company as one of the top real estate lending organizations in Japan. He established Kenzo Capital Corporation to carry out the business of real estate investment advisory services, real estate fund and real estate asset management to provide access to the Japanese market for European investors. After graduating Keio University, Tokyo in 1982 with the BA degree of Business and Commerce, Osamu Hashimoto started his business career at the Overseas Sales Division of Isuzu Motors Limited. He moved to the finance sector in 1984 joining a Japanese leasing company in charge of cross-border leasing. His 25-years career in the structured finance field starts from here. In 1989, he joined Union Bank of Switzerland Tokyo branch and has further expanded his structured finance expertise as one of the few professionals in the infant stage of the securitization market in Japan. He structured and arranged the very first securitization transaction for the key deposit that a major Japanese retailer had with the lessors of its leased properties. 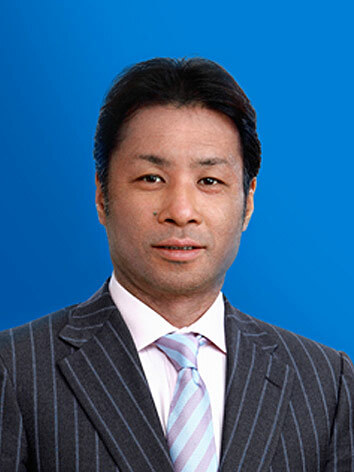 After joining Bayerische Hypo Vereinsbank AG, Tokyo branch in 1997, as Head of Securitization in Japan, he has initiated, structured and executed the very first partially supported US$ 3 billion asset back commercial paper program that had access both to the US and the Japanese cp market。This was also one of the very few successfully operated jointly sponsored program between two different banks. The one he has built was jointly sponsored with The Industrial Bank of Japan (currently Mizuho Corporate Bank, Japan). He has also structured and executed the sales and lease-back transaction for the refurbishment facilities of a major European auto manufacturer located in Japan to achieve off-balance sheet treatment. 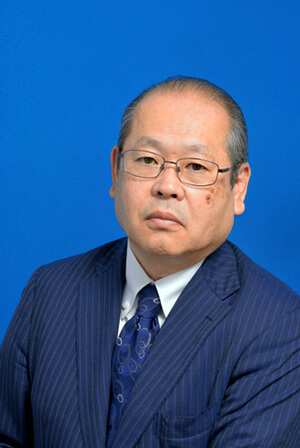 Prior to joining Kenzo Capital, he was the Managing Director and Head of Standard Capital Japan., Ltd.
After graduating Keio University, Tokyo in 1983 with the BA degree of Law, Takehiko Uehara started his business career at Japan Leasing Corporation (“JLC”). He was assigned to the US subsidiary of JLC in Los Angeles California from 1989 and stationed there until 1995 for 6 years. During that period from 1992, he was involved in the firm’s real estate debt and equity work-outs. From March 1999, he joined the Tokyo Branch of Bayerische Hypo Vereinsbank AG and executed the very first real estate non-recourse loan in March 2000. He was then involved in the launching of Hypo Real Estate Capital Japan Corp.(“HRECJ) and joined the firm as of July 2004 as the Head of Real Estate Structured Finance team. He was then involved in various large scale mezzanine loans as well as senior loans in a form of non-recourse structured finance and achieved a total loan volume of approximately JPY 600 billion. From 2008, he became the Representative Director of HRECJ. In September 2016, he joined Genkai Capital Management as a Deputy President & COO. As of September 1st, 2018, he joined Kenzo Capital Corporporation as Chief Investment Officer. After graduating Waseda University, Tokyo in 1989 with the BA degree of Engineering, he started his business career at Mitsui Trust and Banking Co., Ltd. (currently the Chuo Mitsui Trust and Banking Co., Ltd.) After being engaged in its branch business for 2 years, he worked as a real estate broker from 1991 to 1998 mainly at Real Estate Brokerage Department, Tokyo, where he dealt with properties of corporate ownership which covered offices, apartments, factories, etc. throughout Japan and their values ranged between US$ 10 million and 100 million. Meanwhile, he obtained Japanese real estate appraisal license in 1994. In 1999, at the dawn of Japanese real estate investment business, he participated in the establishment of its Structured Finance Department, Tokyo to initiate real estate finance business. His 10-years career in the real estate investment business started from here. He worked as Head of Underwriting between 1999 and 2003. From 2003 to 2005, he worked for GMAC Commercial Mortgage Japan KK as a loan officer, Vice President. He sourced opportunities, underwrote properties and lead documentation to provide real estate finance. During this time he also consulted some asset managers on their process of acquiring and managing properties. In 2005, he joined Deutsche Securities Ltd., Tokyo Branch as Head of Underwriting in Commercial Real Estate Department. He worked there between 2005 and 2008. Throughout his career in real estate investment business, he has managed the process of underwriting and monitoring hundreds of properties which cover offices, retail properties, apartments, hotels, warehouses, etc. all over Japan, such as an office valued at US$ 1,100 million in the central Tokyo, an office valued at US$ 300 million in the central Osaka, a retail property valued at US$ 150 million in the central Tokyo, an apartment valued at US$ 40 million in Fukuoka City and a hotel valued at US$ 200 million in Okinawa. 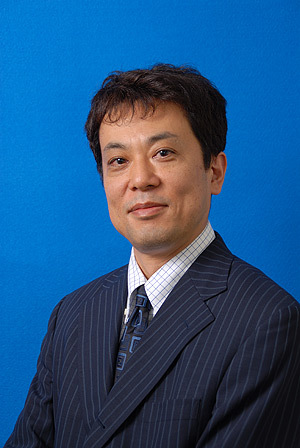 After graduating from University of California Berkeley, with the BA degree in Legal studies, Hisato Ono started his more than 20-year real estate business career in 1988 joining Nomura Real Estate Company Limited (“Nomura”), the Real estate development arm of Nomura Securities. 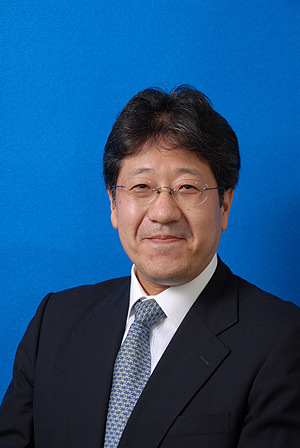 Hisato was assigned to overseas department of the Building Development Division, and was a key team player in the expansion of Nomura Real estates into Australia, and the United States. In 1989, he was assigned as a Development Manger by Nomura to a 100M AUD project to develop the Nikko Hotel on the Gold Coast Queensland Australia for a consortium of Nomura, Japan Airlines and Toyo Real Estate. He experienced first hand know how of large-scale development from acquisition, vacant possession, approvals, and design. From 1990 Nomura stationed him in New York, where for the next 5 years, Mr. Ono became in charge on 3 major commercial development projects totalling 200M USD. Besides further real estate development expertise his responsibility provided him with an opportunity to manage relationships through the interaction with investors from different global locations on joint venture developments. It is also during time in New York, that he worked with Eastdil (at that time a Nomura Securities Real Estate Investment Bank) to secure project finance for the projects. He was one of the few professionals in the infant stage of the project finance or non-recourse financing in Japanese real estate development companies. In 1995 Hisato joined Amroc Investments a NYC investment brokerage and a member of the Robert Bass Group dealing in non-performing loans. He sourced Japanese bank owned debt of failing real estate companies to be bought and traded for investors. A major buyer of such debt was US Hedged fund. By this time the Japanese bubble has bursted and Japan was going through a financial crisis. Hisato took his experience in NYC to Japan where he joined Cargill Financial Services in Tokyo where he and the Cargill team started what was to be a huge business of buying real estate backed loans from Japanese banks in bulk. In 1999, Hisato with a partner established Pineridge Capital a boutique private equity firm focused on buying distressed corporate or subsidiary of major corporation with underlying real estate. He worked closely with a US hedge fund that purchased the Japanese subsidiary of a US media company to restructure and invest in non-core assets of the company. With various investors, he went to purchase 3 major subsidiaries from very prominent Japanese corporate, and sold it to real estate developers. In 2008, he dissolved Pineridge partnership and joined AP Advisory in 2009 a Singapore based Investment Advisory firm where he continued to invest in special situation opportunities in the real estate and asset backed loans and or corporate on behalf of Asian investors. He has joined Kenzo Capital Corporation in 2011, to provide his expertise to the company and its European core investors, thereby expand his client network and enhance the companies business. In addition to the company’s main cash flow driven core real estate investment business Kenzo invests in and provides its clients with special situation driven ‘Value Add’ high yielding real estate investment opportunities. 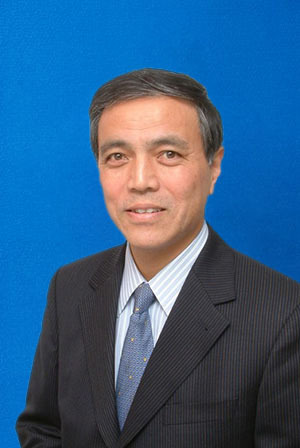 After graduation from Arizona State University in 1991, having received a BS degree majored in finance at College of Business, Kunihiko HIKASA started his business career at Deutsche Bank Tokyo Branch, where he got engaged in general corporate banking for initial 4 years and then shifted to specialized finance in final year. In 1996, Hikasa moved to Banque Paribas Tokyo Branch (at a later stage, BNP Paribas Securities) having started his professional career on a full scale as a structured finance specialist. At the earliest stage of the market, he arranged a couple of first-time ever type products in Japan by importing U.S. product technologies, as typified by USD 500 million U.S. monoline-wrapped MTN program (AAA) for Japanese monetary receivables. Liquidation of local municipal bonds employing Japanese trust scheme, securitization of construction finance deposit supported by a Japanese triple-A rated financial guarantee, and repackage of mezzanine/subordinated debts were also good examples to demonstrate his professional capacity in asset-backed finance. His team had succeeded to become one of the most profitable squads for securitization in Tokyo local market. 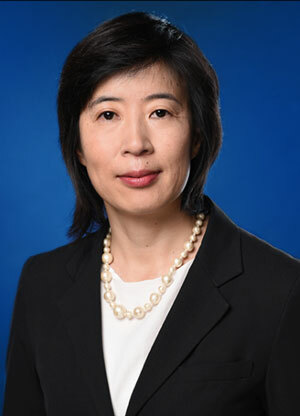 Having committed to further strengthen the bank’s presence in Tokyo, in 2002, Hikasa moved, as a team, to Bayerische Hypo Vereinsbank Tokyo Branch (currently, UniCredit Bank) from BNP Paribas. Aiming to differentiate German bank from U.S. investment banks tapping into the market, he structured and developed asset warehousing facility taking advantage of the European bank’s strong balance sheet, which was broadly appreciated in the market. On top of the U.S. cross boarder MTN program which was entirely distributed in the U.S. capital market, he had arranged and executed a number of structured credit products for a wide range of financial receivables, such as consumer loans, business loans and card loans. Such strong and proven deal track record helped the bank not only secure strong and stable cash income over the years, but also raise its status as a securitization power house in Tokyo local market. Since 2008, Hikasa assumed a responsibility of Co-Head of Structured Capital Markets for UniCredit in Japan. After graduating Waseda University, Tokyo in 1975 with the BA degree of Economics, Tsuneo Soeda started his business career at Mitsubishi Trust & Banking Corporation Ltd., (currently Mitsubishi UFJ Trust & Banking Corporation). He engaged in domestic trust and banking business including work-out of none performing loans amounting to over JPY 100 billion. He was assigned to the US joint venture which in charge of office development project in Los Angeles from 1994. He completed this development and sold the office at US$ 60 million. He returned to Tokyo and engaged in overseas real estate work-outs on Spanish, Tahiti and South East Asia assets. From March 1998, he joined the Babcock & Brown’s start-up in Japan and engaged in sourcing and managing properties, including high-end residential and land marked commercial buildings. He also took initiative of non-recourse funding for the firm’s real estate assets from several financial institutions including foreign investment banks. He joined CBRE Investors KK in Tokyo in 2003 and engaged in the acquisition process of several hundred residential properties for the purpose of inception of a residential REIT. He was responsible for the initial set-up of its REIT registry and license application from the Ministry of Land, Infrastructure, Transport and Tourism as well as from Financial Services Agency. 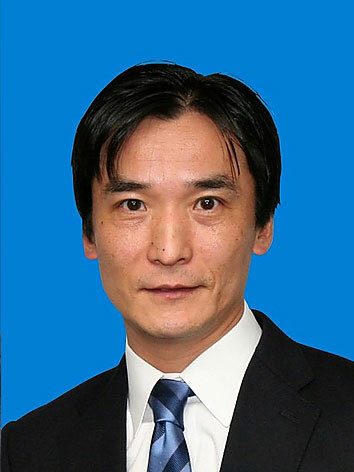 He joined Hypo Real Estate Capital Japan KK in 2004 where he was in charge of property analysis and monitoring the financed properties of non-recourse loans of JPY 500 billion. In 2015 he entered into real estate advisory business, advising corporate, high-net worth individuals and foreign investors as his clients. On October 1, 2018, he joined Kenzo Capital Corporation as a Property Manager. 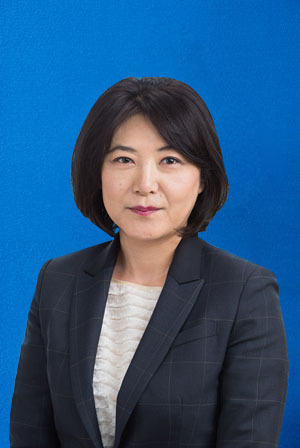 From 1985, Rie Ashizawa joined Bayerische Vereinsbank AG Tokyo Branch (currently, UniCredit Bank) and engaged in banking operations (Deposit, Loan, Foreign Exchange) for 9 years and then shifted to Corporate Finance and was in charge of foreign affiliated companies. She was involved in the launching of Hypo Real Estate Capital Japan Corp. (HRECJ) and joined the firm as of January 2004 as HR. From January 2014 she was involved non-recourse structured finance of HRECJ. From November 2018 she joined Kenzo Capital Corp.
than 10 years in commercial real estate finance. She joined Hypo Real Estate Capital Japan Corporation in 2005 and focused on risk analysis. Her contribution was in executing total loans of over JPY500 billion to finance commercial real estate properties including office, retail, residential and logistics. From 2011 she was Deputy Teamhead responsible for intermediating Tokyo team and Risk Department at the head office in Munich, Germany, standardizing credit processes, and implementing new credit system and templates to the Tokyo team. Wertmanagement, an entity established in 2010 as the German Federal Government, winding-up institution for the nationalized Hypo Real Estate Holding AG. As a Coordinator between the company overseas locations and the head office, she has improved communication and built an efficient internal network. She was also in central credit decision making department responsible for quality assurance of reporting non-European transactions namely Japan and the US.